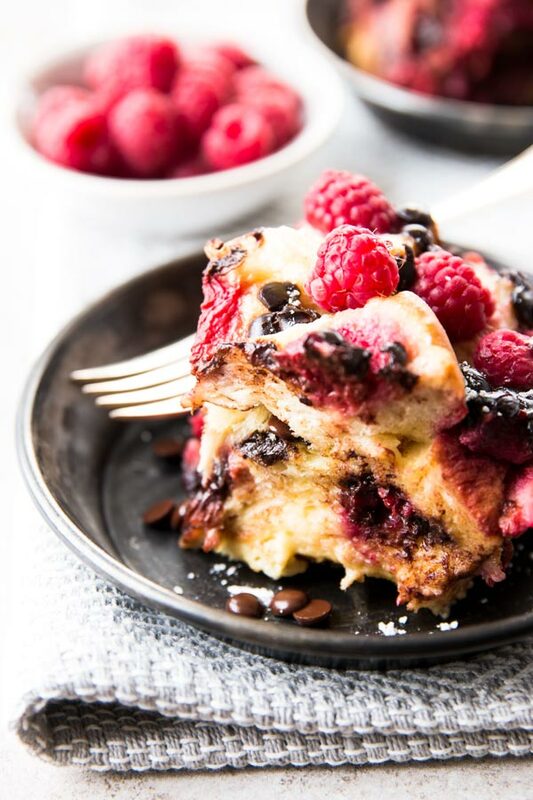 This Crockpot Raspberry Chocolate Chip French Toast Casserole is a simple brunch dish that feels extra special. So decadent with the chocolate and raspberries! It comes together with just a few ingredients and is super easy to prep. You can either make it ahead and leave it to soak overnight, or you can cook it right away – it turns out scrumptious either way. It’s the perfect recipe for your spring and summer brunches – Easter, Mother’s Day or just because!